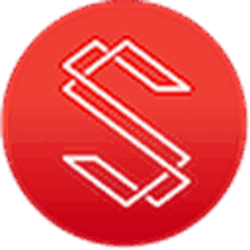 Substratum (SUB) - Events, Price, Market Cap, Supply, Exchanges and more! Substratum aims to be a platform that improves internet use and website hosting. 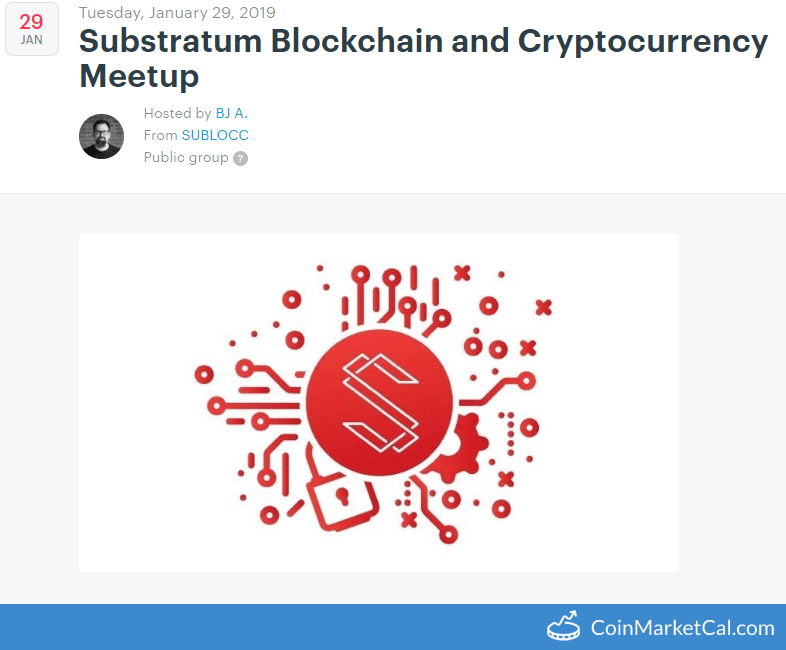 The host can use substratum apps to assist in hosting their website and the host can pay substratum nodes to forward content. 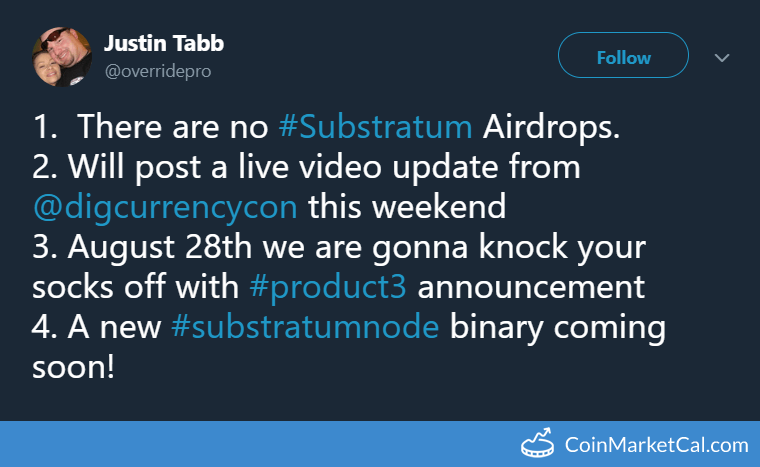 The Substratum is an ERC20 utility token on the Ethereum blockchain. 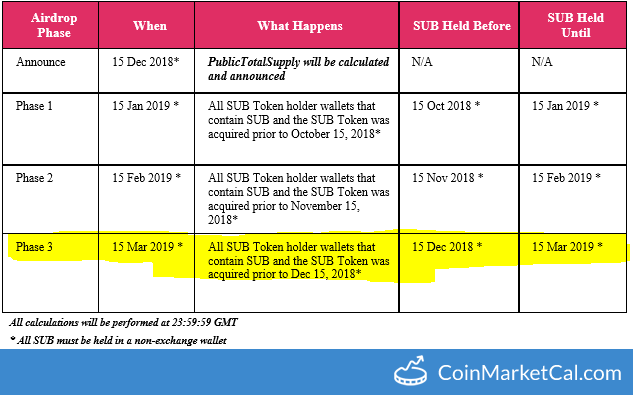 Binance delists CLOAK, MOD, SALT, SUB, and WINGS at 10:00 AM UTC. 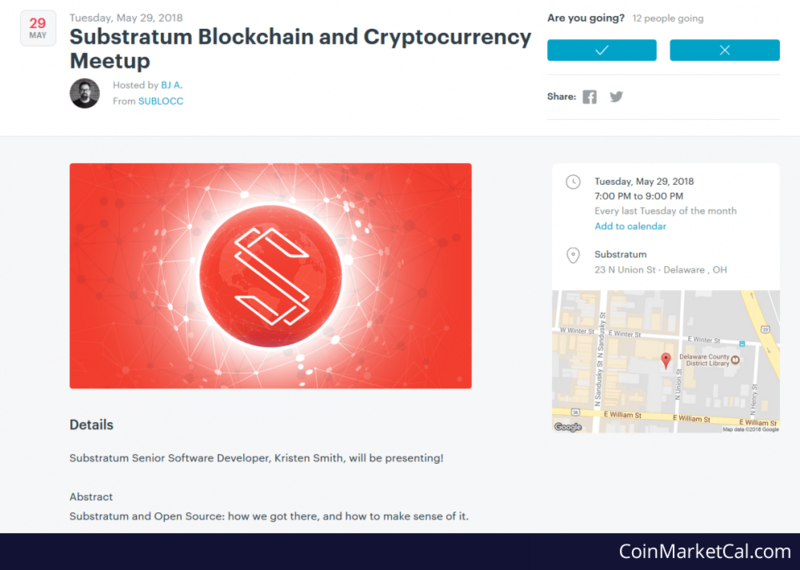 Substratum Blockchain and Cryptocurrency Meetup. Third snapshot For Amplify Airdrop, which begins on December 15, 2019. Second snapshot For Amplify Airdrop, which begins on November 15, 2018. 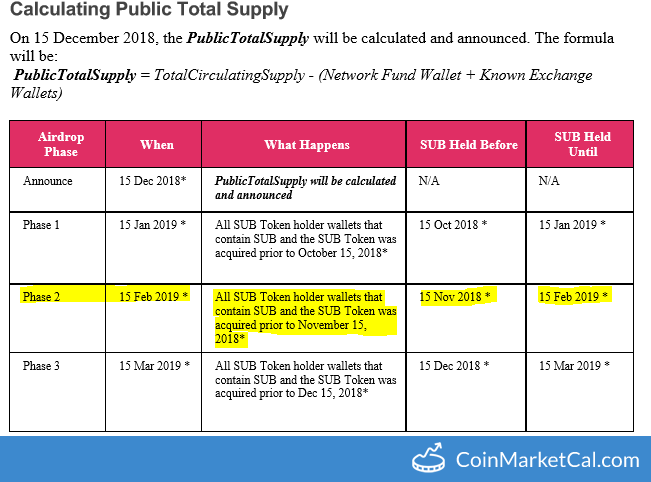 First snapshot For Amplify Airdrop, which begins on January 15, 2019. “August 28th we are gonna knock your socks off with #product3 announcement." 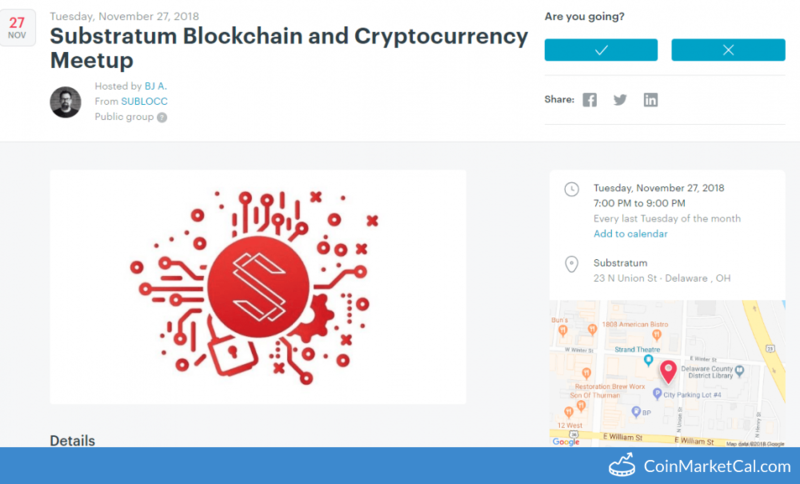 "Join us for a brief reflection on our journey to open sourcing the SubstratumNode software followed by diving in to look at the code..."